REVIEW: There is something magical about going to the movie theater. And when movies capture that on the screen, it’s something to behold. 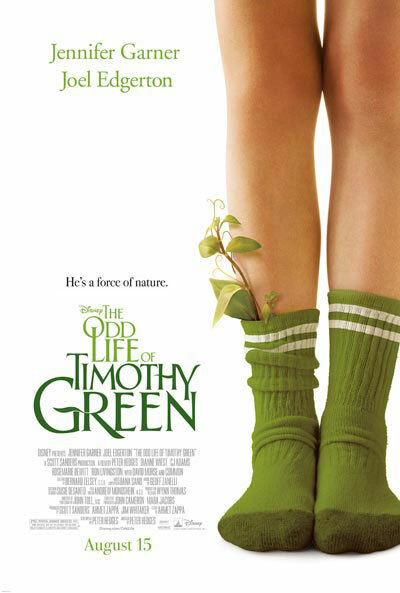 "The Odd Life of Timothy Green" is one of those movies. There is something magical about going to the movie theater. And when movies capture that on the screen, it’s something to behold. “The Odd Life of Timothy Green” is one of those movies. This Disney movie was left slightly in the dust when it came out on Aug. 15. Typically, studios are pretty hesitant to release non-franchise, original movies like this. And Disney picked a good one. This movie is about a married couple played by Jennifer Garner and Joel Edgerton, whom you will remember from last year's movie “Warrior.” They cannot have kids. On the day they are told this, they fill a box with all of their wishes and dreams for what their kid would be like: he would be kind, gentle, musical inclined and would score the winning goal in a game at school. And they bury this box, filled with these pieces of paper, in the garden outside of their home. That’s when the magic happens. Soon, a child is born — Timothy Green. He has leaves on his ankles and is about 10 years old. They are not quite sure what to make of him but it appears their dreams have come true. They finally have a kid, one with all the qualities they wrote down on paper. In short, he will change their lives, as most parents would attest their children do. Magic and fantasy rule and drive this movie. Timothy (CJ Adams) is wonderful, innocent and great to watch on screen. As with most movies, there is the suspension of disbelief. “Odd Life” utilizes that perfectly. And great movies, like last summer’s “Super 8,” tell ordinary tales with extraordinary circumstances. The plot is not quite perfect but this is a great family movie, thanks to director Peter Hedges (“What’s Eating Gilbert Grape”). Audiences will laugh and cry. There is also a wonderful performance by Shohreh Aghdashloo (“House of Sand and Fog”).